The boss of Peterborough-based travel giant Thomas Cook says it has taken nine years for the firm to right its mistakes following the deaths of two children while on holiday. 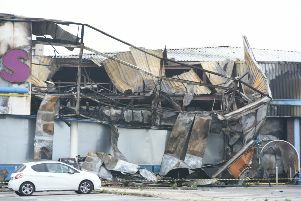 But Peter Fankhauser, chief executive, said the company, which employs 1,115 people in Bretton, was committed to learning from a critical review of the firm’s customer, health, safety, welfare and crisis management practices. It took us nine years to correct the mistakes of the past and to do what everyone would have expected of us. The review was ordered by the tour operator following an inquest into the deaths of Bobby and Christi Shepherd while on holiday in Corfu with their parents in October 2006. Thomas Cook has admitted the review, carried out by former Sainbury’s chief executive Justin King, makes “uncomfortable reading in parts”. Mr Fankhauser said: “Nine years ago, two children died in Corfu while on holiday with us: Robert and Christianne Shepherd. “It took us nine years to correct the mistakes of the past and to do what everyone would have expected of us; treat the family with the respect and empathy they deserve. “We had to learn from this tragedy and do things differently and this remains our commitment. “I would like to thank Justin King for his work, which will serve as a catalyst to further accelerate the changes we are making to put the customer at the heart of our business. “With the implementation of our new operating model, we will remove the last silos in our different businesses and work together as one organisation to deliver a consistent customer experience. “My priority is to drive this reorganisation as quickly and effectively as possible. “Booking a holiday is a matter of trust and it is our duty to do everything we can to justify the trust our customers place in us, both now and in the future. The Thomas Cook Group should increase significantly the internal resource allocated to health and safety. It should create a confidential health and safety whistle-blowing line for employees and suppliers. The company should include a section on carbon monoxide risks and safety within its brochures and website. There should be a full briefing on carbon monoxide risk for all the company’s personnel at resorts and destinations. An affordable and portable carbon monoxide monitor should be available for travellers to buy via the company website. Thomas Cook said it would work through the report’s recommendations with a view to implementing them over the next 18 months. Mr King said: “I would like to thank all of the Thomas Cook employees that helped me with the preparation of this report by sharing openly and honestly their views. “My aim remains that this review can form a key part of the Thomas Cook programme to put the customer back at the heart of this business.